Extremely fast recovery of all commonly used CFC, HFC and HCFC refrigerants, including R410A. An automatic low-pressure cut-off switch turns the machine off at 15″ of vacuum, eliminating unnecessary wear and tear on the machine. Auto-purge helps clear any residual refrigerant, leaving the machine ‘ready to go” for the next service call. Padded handle grip makes carrying the machine to job sites easier and more comfortable. Experienced HVAC/R professionals understand that time is money, and the more time they can save doing a job, the more money they make at the end of the day. The new RG5410EX refrigerant recovery machine from Promax® is specifically designed to save time and money. The ‘EX” is for the extreme upgrades we added to the popular RG5410A recovery machine. For example, our high efficiency 1/2 hp motor drives a redesigned compressor that increases volume flow by 20%, saving time spent on each recovery job. We also improved the performance of the extra-large condenser, and ‘beefed-up” the inside of the machine, adding heavy-duty components to deliver maximum performance under the harshest conditions. Like its predecessor, the RG5410EX is built to last – and that saves money. The G5 Twin is the smallest and lightest recovery machine capable of handling the tough demands of industrial/commercial refrigerant recovery – no job is too big for this little beast. 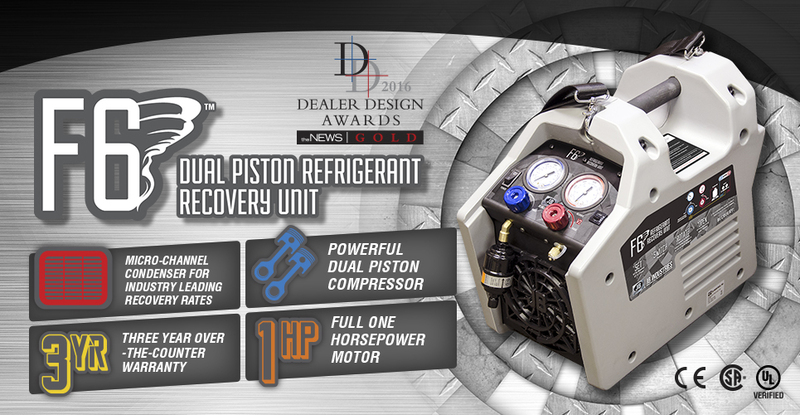 Recovery Just Got Smaller The Cube from Promax sets the new standard in refrigerant recovery. All jobs are different. From a rooftop to a marine HVAC system, the Cube is easy to use and ideal for any residential and appliance sized recovery job. Capable of recovering both liquid and vapor refrigerant, the Cube is engineered to withstand the punishment of daily use even under extreme conditions. This season get the Cube and keep it cool all season long.